A guessing game! The computer knows a rule. When you tell it a number, it will multiply it, and then add to it. The computer will tell you the output. 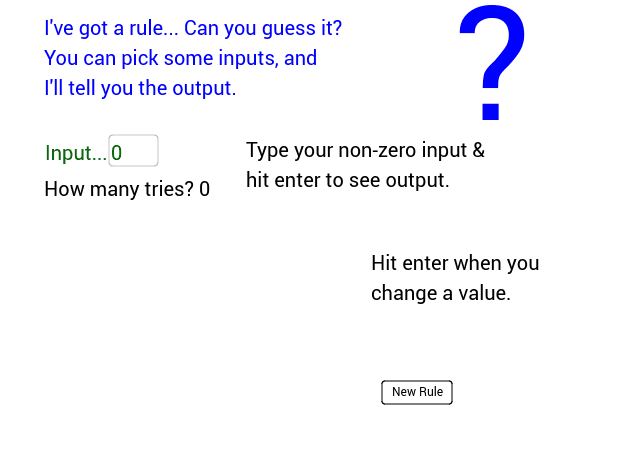 Can you guess the rule? What's the smallest number of tries you can get?